As Mexico’s Pacific coast starts to cool off from summer’s heat, some of its largest annual visitors are just arriving. Swimming all the way down from Alaska’s frigid waters are majestic Humpback and Gray Whales. And arriving to feast in the warm waters of Southern Baja are the tranquil Whale Sharks. The arrival of these stunning creates an incredible opportunity for nature lovers to experience up-close encounters with these giants of the sea. After whale shark season comes to an end in Cancun, the season starts in Southern Baja. For those visiting Cabo San Lucas, San Jose del Cabo or La Paz, a day on the water swimming alongside these animals is a must. Being the largest fish in the sea and with “shark” in their name, most may say to themselves “there is no way I am voluntarily jumping in the water with that!” But, Whale Sharks have earned the name of Gentle Giants of the Sea for a reason—they are harmless. They eat one of the sea’s smallest creatures, plankton; swimming through the water with their mouth open, taking in and filtering thousands of gallons of water a day, and have no interest, or teeth, to dine on us. La Paz, a short and well-worth-it drive from Los Cabos, provides some of the most convenient conditions for swimming with whale sharks. The warm water, shallow depths and proximity to La Paz make it the perfect place for this encounter. We can arrange for you to be picked up at your hotel and driven to the area where the boats head out—enjoying incredible views of Southern Baja’s desert and mountains along the way. 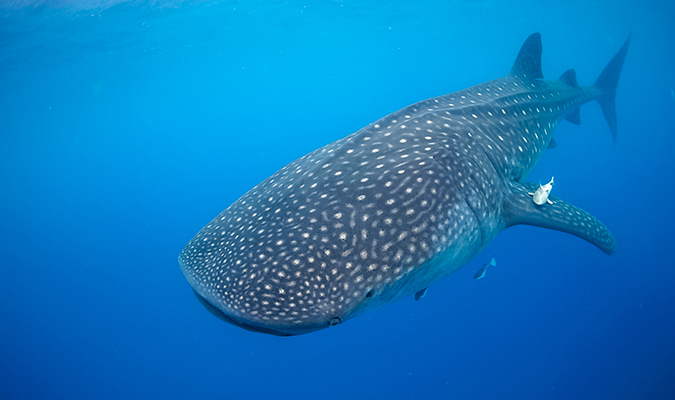 Embark on a short boat ride to the protected bay where the whale sharks gather to feed. 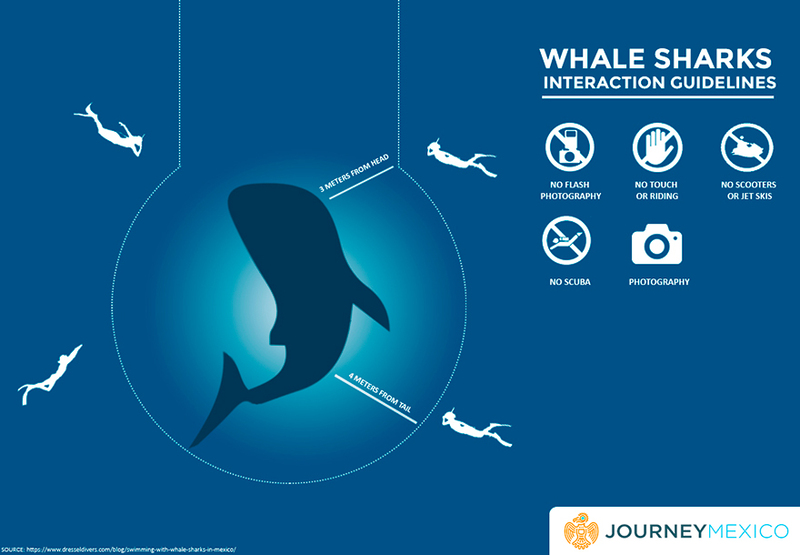 Along the way, your professional guide will educate you on the Whale Sharks the proper way to swim with the animal for an eco-friendly and safe swim that respects the animals. Like thousands of Americans and Canadians each winter, Humpback and Gray Whales look to escape to Mexico as the cold grasp of winter takes hold. As the humans just hop a few-hour flight to get to sunny and warm Mexico, the whales embark on a 6,000-mile swim from their feeding ground near Alaska. They arrive on Mexico’s Pacific Coast around November to shelter in warm-water, protected coves and bays. They spend their time in Mexico to mating and bearing calves conceived in these same waters the year before. The whales sing and breach the water’s surface in courting behaviors, putting on a spectacular show. 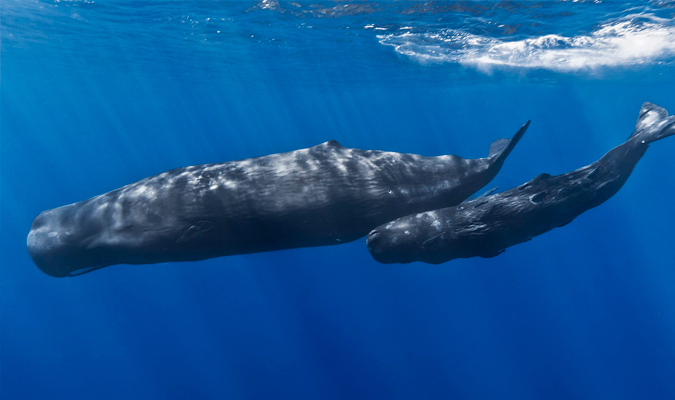 You may see mother whales swimming alongside their calves, teaching them how to swim and jump. Head out on a whale watching adventure with expert guides and learn all about these remarkable mammals. The best guides will know where to find the whales and get you as close as possible (within the protection guidelines). If you are lucky enough, you have the opportunity to watch a giant Humpback whale put on an acrobatic display of jumps, tail slaps, pectoral-fin slaps and even sing you a song. You may also be lucky enough to pet a Gray whale, as these incredibly curious animals occasionally swim right up to your boat for a hands-on encounter. 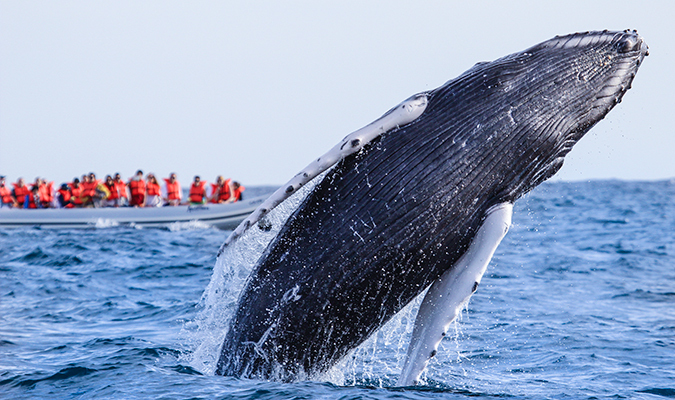 Be sure to include a whale encounter on your Mexico winter escape. With Journey Mexico’s expertise, we can create the perfect itinerary—tailor-made to fit your travel desires. Whether it is a stay at a luxurious villa in Puerto Vallarta with a day of Humpback whale watching from a private boat or a 5-Star resort in Los Cabos with a day trip to La Paz to swim with Whale Sharks, snorkel with sea lions and walk a deserted beach, we can create the ideal trip for you to spend time with Mexico’s winter giants. It always amazes me to see these creatures from naked eyes. I’ll try to be there soon.